The Biz: The below article highlights an international business course by the blog’s author in which students have taken the initiative to scale zero interest loans within and beyond both the classroom and campus. The collaboration that now helps communities all over the world started as a simple class project. In Fall of 2015, Dr. Le assigned a project in which MGMT 80 students created proposals for zero interest loans to go to various small businesses and organizations. After the quarter, several students expressed interest in turning the proposals into reality and formed what now is the SCU Microfinance Organization. The students and newly formed club were successful enough to implement the loans by Winter of 2016. Due to liability issues, the club could effectively fundraise and seek revenues but could not participate in the loan side. Thus, Dr. Le started Zero Interest Microfinance (ZIM), a nonprofit organization that assesses recipients and actually provides the zero interest loans. The first loan of $3,000 went to Oya Organic Farms, a group of family farmers in Hollister, CA. The loan helped farmers to successfully purchase additional equipment for increased production. As a result of the positive engagement supporting Oya Organic Farms, the Dr. Le, SCU Microfinance, and ZIM decided to expand the scope and range of its loans. After the success of the first loan, SCU Microfinance and Dr. Le decided to look outside of the US for loan recipients. There are thousands of NGOs and small businesses around the globe that can greatly benefit from zero interest loans. One source of international connection stemmed from the LSB Global Fellows Program, thanks to Melanie Vezjak. Melanie, now a senior, was involved in both organizations and suggested that SCU Global Fellows assist in the interview and distribution portions of the loan cycle. 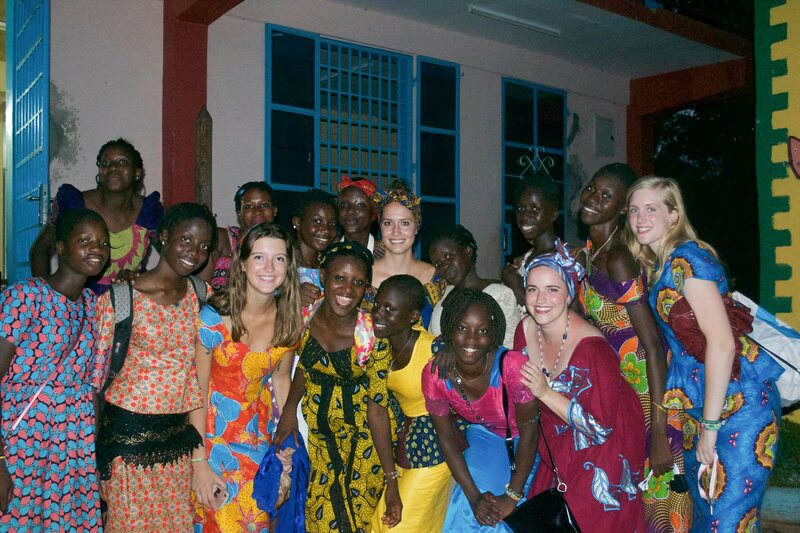 During the summer of 2017, Melanie travelled to The Gambia with the Global Fellows Program. Prior to the trip, Melanie “exercised due diligence to determine to whom the loans should go to. This process involved interviews, evaluation of their business plan, and a concluding discussion with professor Long Le to determine the exact amount of money we were able to lend.” Ultimately, Melanie and Zero Interest Microfinance provided loans to two women entrepreneurs. The successful engagement fostered future collaboration between Zero Interest Microfinance and Global Fellows. This summer, the MicroFinance Organization and Zero Interest Microfinance worked with Global Fellows to distribute approximately $7000 around the world, the largest amount loaned so far. Each loan cycle has many moving parts. Students in MGMT 80, taught by Dr. Le, will work to fundraise for loans and assist with recipient selection. Simultaneously, the SCU Microfinance Organization will also fundraise and conduct operations. Dr. Le and SCU alum, Ryan Pham, oversee the allocations of funds and distributions of loans with the Zero Interest Microfinance non profit. Once borrowers are selected, SCU Global Fellows assist with transactions, communication, and onsite assessment.